Because your Medicare Card has a social security number on it, it can be used for Identity Theft. That way, they were under less risk for Identity Theft, but still have the original ID card in case it is needed for something. This is fantastic news for Medicare beneficiaries! No longer must you worry about carrying around an insurance card that puts you at risk for Identity theft. The data breeches that we've had over the last few years solidified the need for the change in law, and we at MedicareQuick are thrilled to see the change. However, this change is not going to happen soon. Medicare officials have up to four years to start issuing cards without the Social Security numbers, and they have another four years to reissue cards held by current beneficiaries. If you are a current beneficiary, or will be receiving your card within the next four years, my advice stands. 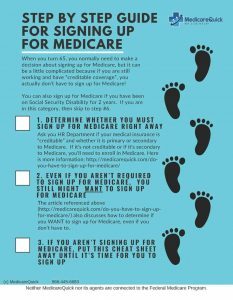 Obtain your original Medicare card and make a copy of it. Take the original and place it in your safe (you can pick one up at Costco, Walmart, or even Amazon. Take the copy and follow the instructions above. It's not a perfect method, but it's much better than carrying your social security number around in your wallet.